US claims and allegations, including the accusation that Russia violated the INF nuclear weapons treaty, are part of an anti-Russian campaign launched amid the Ukraine crisis, Deputy Defense Minister Anatoly Antonov told RT. The campaign is aimed at discrediting Russia and the US is ready to “exploit any means” in the information war, Antonov said. Diplomatic tensions between Moscow and Washington have been growing as the bloody confrontation between Kiev forces and self-defense groups continues in east Ukraine. Adding fuel to the fire, the White House recently accused Russia of breaching the 1987 INF Treaty that bans the intermediate-range and shorter-range ballistic and cruise missiles. 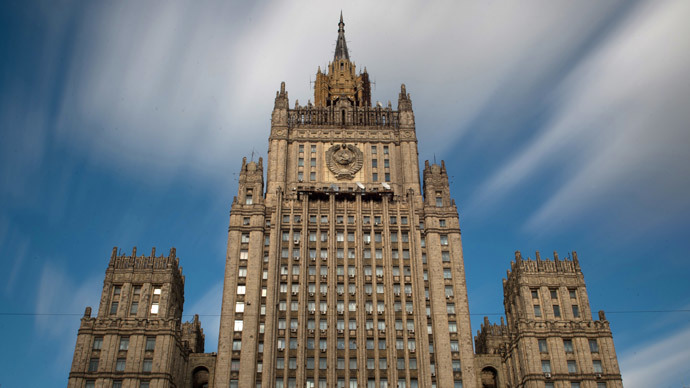 Moscow slammed the allegations as unfounded adding that there were questions regarding the US’s fulfillment of the agreement. READ ALSO: US accuses Russia of nuke treaty breach... but has it? RT met with Russia’s Deputy Defense Minister Anatoly Antonov to discuss the situation, NATO’s attempt to meddle in the INF Treaty dispute and the way the story was presented in the Western media – where Moscow’s position was sometimes misinterpreted. RT:What’s your comment on these media reports? AA: The INF Treaty is of unlimited duration. The treaty clearly provides for specific procedures to consider any non-compliance issues. In an earlier period, when the missiles that fall under the Treaty were destroyed in large quantities, a special commission was in place that convened on a regular basis. Any non-compliance issues were supposed to be raised during the sessions of the commission. This procedure proved to be highly effective – despite the complexity of the goals set out by the Treaty, not a single matter remained unresolved. And complete elimination by Russia and the US of two classes of the most dangerous missiles is the best illustration of the point. With this in mind, it’s only natural that we were very much surprised when our American counterparts ignored the dispute resolution procedures provided in the Treaty and chose to simply leak their ungrounded accusations to the press. 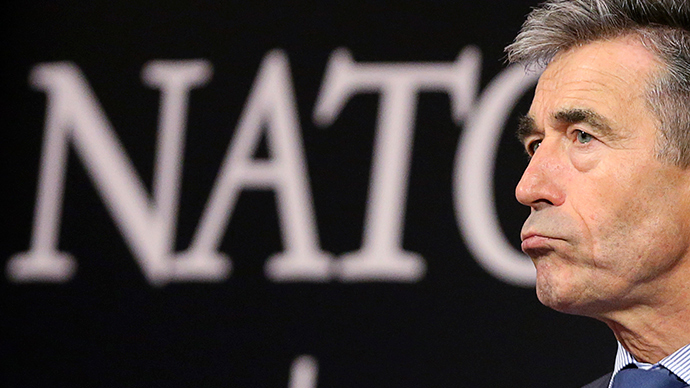 Why draw NATO’s Secretary General into the issue? The alliance is not a party to the Treaty. The answer is simple: a massive wave of US claims and allegations is part of the anti-Russian campaign unleashed by Washington in connection with the Ukraine crisis. And the US is ready to exploit any means to discredit Russia. 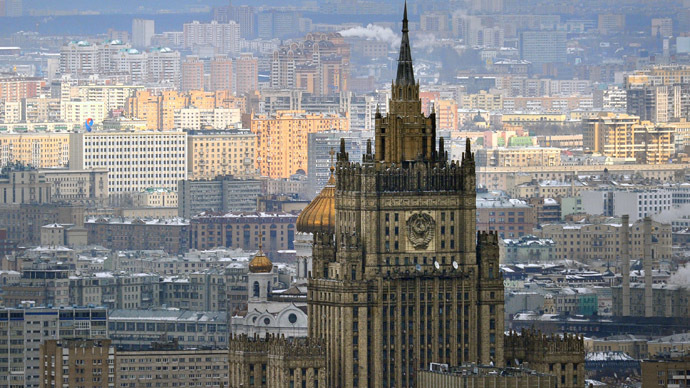 It is hard to escape the conclusion that amid a deterioration of US-Russian relations over the Ukraine crisis Washington is planning a new propaganda move that is supposed to cast a shadow on Russia. The White House wants to launch a new offensive in the information war, accuse Moscow of non-compliance with its international commitments and demonstrate so-called ‘Russia’s international isolation’. If the US had other goals in mind, it would have relied on time-tested procedures set out in the INF Treaty as well as other formats of negotiations. I have never heard of a single case when disputes arising from an international treaty have been resolved via the mass media. This can only lead to yet another escalation and a complete stalemate. RT:What has Russian-US dialogue on the INF treaty been like in the past couple of years? AA: The commission has not convened since 2003. Instead, we’ve used other formats of negotiations to discuss its implementation. The last time the INF Treaty was brought up was in late 2013. The issues on the agenda were the same as the ones that the US officials referred to recently. We have looked into the US concerns and the Russian side provided detailed explanations which seemed to have satisfied our American counterparts at the time, at least that’s what they told us. The points that we had laid out were deemed a definitive answer and, as far as we know, were presented by the Obama administration to the US Congress. - the MK 41 launching systems that are planned for deployment in Poland and Romania. Some of the questions have remained unanswered because our partners need time to analyze them. It’s standard practice and we are ready to wait for a substantiated reply. However, we were surprised that the annual report on international compliance with arms control agreements says that Russia never raised any concerns over Washington’s compliance with the INF Treaty in 2013. Such a statement is a distortion of the real state of affairs, at the very least. RT:What role does the INF Treaty play in the legal framework of the global security system? 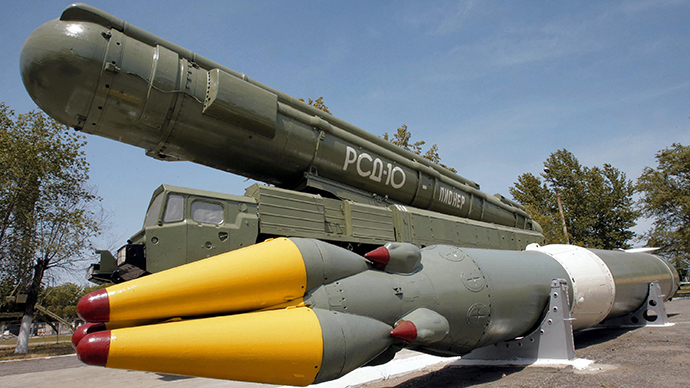 AA: The INF Treaty was, effectively, the first international agreement on nuclear disarmament. In line with the Treaty, the USSR and the US destroyed all missiles with a range from 500 to 5,500 km. The biggest benefit for the USSR was that the US removed its missiles from Europe that had the shortest silo-to-target flying time to Soviet sites. The elimination of intermediate-range and shorter-range missiles significantly reduced the level of military confrontation, contributing to a calmer military and political situation in Europe and the world in general. The positive outcome of the INF Treaty paved the way for further productive negotiations on arms reduction, and the experience was later used in the succeeding agreements on nuclear disarmament. First and foremost, this applies to START I.
RT: The decision to ratify the INF Treaty was reportedly regarded as a controversial one in the USSR. Is this true? AA: Indeed, the decision to sign the INF Treaty raised some controversies back home. Some groups supported the treaty, but others pointed to what they thought were concessions on the part of the Soviet Union. They believed it was an act of betrayal of national security interests. The main reason for this was the fact that the USSR agreed to eliminate the state-of-the-art Oka missile (NATO designation SS-23 Spider) whose range was less than 500km. Also, the number of missiles to be eliminated by the US and the USSR was different. Nevertheless, despite certain downsides, the INF Treaty clearly has an important historical significance. RT: So what is Russia’s current stance on the Treaty? AA: During his meeting with the defense industry leaders in 2013, President Putin admitted that Mikhail Gorbachev’s decision to sign the INF Treaty was ‘debatable, to say the least’, but added that Russia would abide by its provisions. At the same time, it’s undeniable that the military and political situation in Europe and the world has changed drastically in the last 30 years. First of all, the Warsaw Pact that ensured the parity in forces between the USSR and NATO ceased to exist. Secondly, Russia doesn’t have the military capabilities that the USSR enjoyed during the Cold War. Thirdly, in 1987 the only states that had intermediate-range and shorter-range missiles besides the USSR and the US were France and China. Today, the number of such countries is nearly 30, and most of them are in close proximity to Russia. We can’t overlook the fact that the US and NATO are actively building a global missile defense system. Its European segment features anti-ballistic missiles launched from MK 41 launching systems that the US Navy usually uses for Tomahawk long-range cruise missiles. For the US, almost nothing has changed in terms of national security since the INF Treaty came into effect. All the conflict zones in the world that the US had a hand in creating are located far from American borders. RT: How did Russia try to handle challenges to its own security under the INF Treaty restrictions? AA: We have voiced our concerns regarding the INF Treaty binding only two super-powers at different international platforms. We have urged all the countries of the world to use the potential of the Treaty to contribute to the disarmament process in a continuous and timely way. 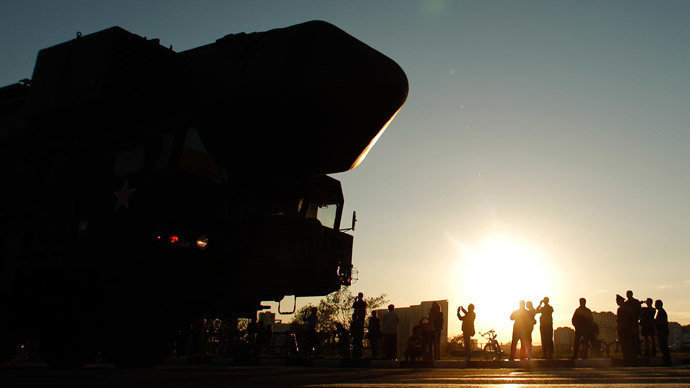 We underscored the importance of ridding the world of two types of deadly missiles. In 2007, following a proposal by President Putin, Russia put forward a draft resolution to the UN to adjust the treaty to modern realities and make it open and universal by urging all the states in possession of intermediate- and shorter-range missiles to join. We believed that this would improve the security of all countries and bolster the international missile non-proliferation regime. Unfortunately, the proposal didn’t find much support. NATO member states were indifferent, and the countries that had acquired intermediate- and shorter-range missiles in recent years don’t want to relinquish them, considering them a reliable means of deterrence. The US didn’t offer much assistance, either, and only issued a joint statement with Russia on the issue in 2007 at the 62nd session of the UN General Assembly. RT: What’s to be done in this situation? AA: We are willing to continue our dialogue with the US, including the issues regarding the INF Treaty. We expect Russia’s so-called ‘violations’ to be substantiated with hard data rather than ‘evidence from social media’ and blurry images made by commercial satellites that have no clear geographical references. We also hope that our American counterparts will not use trumped up legal pretexts to avoid uncomfortable questions put forward by the Russian Federation. US accuses Russia of nuke treaty breach... but has it?